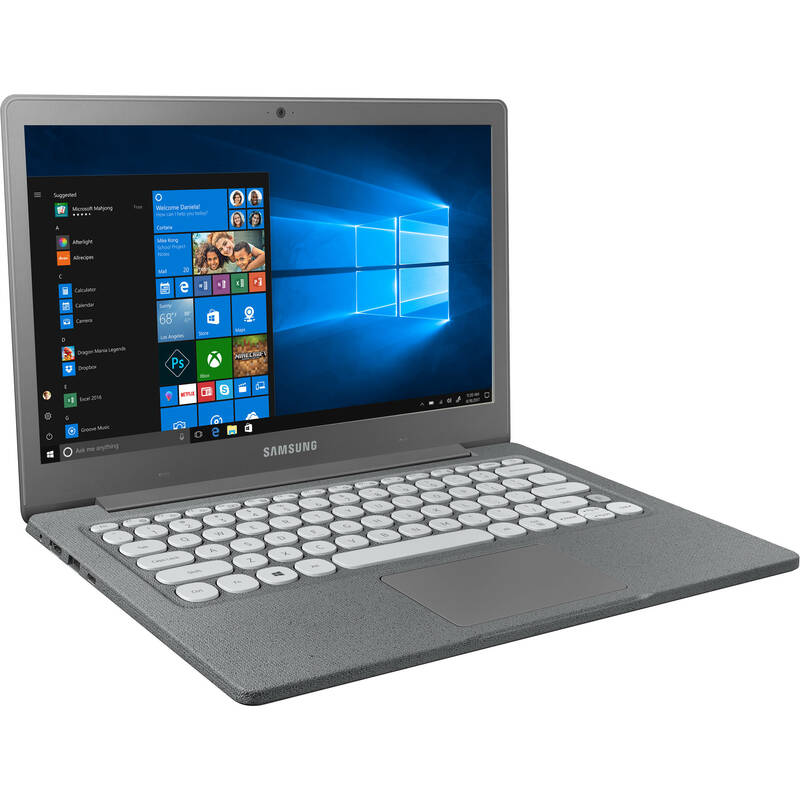 The 13.3" Notebook Flash from Samsung is a compact and portable system designed for users who like to travel light. Specs-wise, it's built with a 1.1 GHz Intel Celeron N4000 dual-core processor, 4GB of LPDDR4 memory, and 64GB of eMMC flash storage. Its 13.3" display, driven by integrated Intel UHD graphics, has a 1920 x 1080 Full HD resolution for clear details. There are a variety of connectivity options including USB Type-A and Type-C ports, an HDMI port, a microSD/UFS card reader, 802.11ac Gigabit Wi-Fi, and Bluetooth 5.0. In case you forget your password or even for additional security, this laptop features a built-in fingerprint sensor for one-touch access. Rounding out the package is the usual assortment of a webcam, microphone, speakers, and a combo audio jack. The operating system installed is Windows 10 Home. Box Dimensions (LxWxH) 18.2 x 11.5 x 2.4"